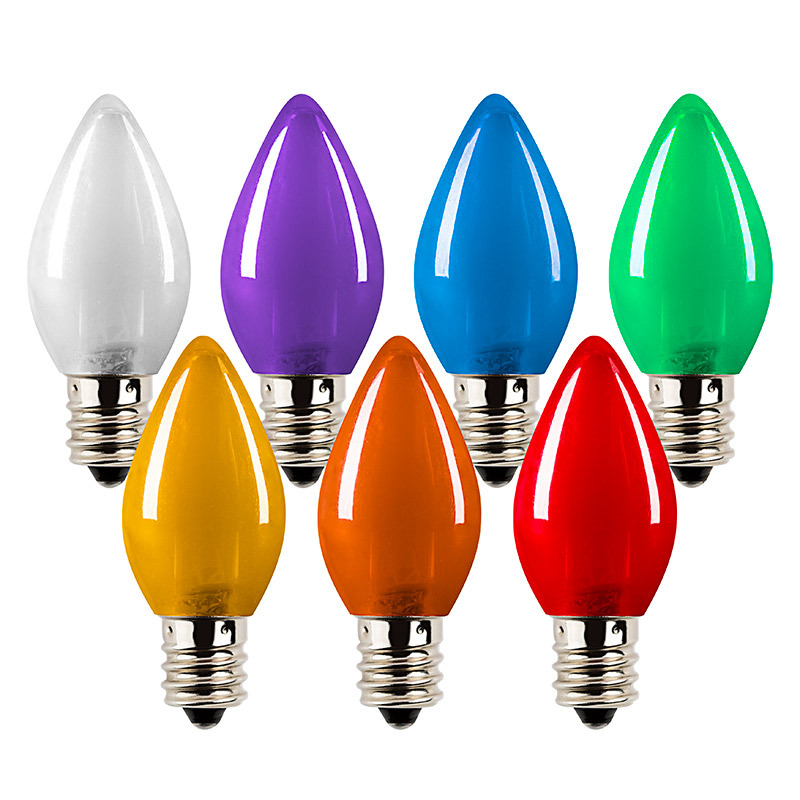 C7 LED Bulbs - Ceramic Style Replacement Christmas Light Bulbs: Shown On In All Available Colors. 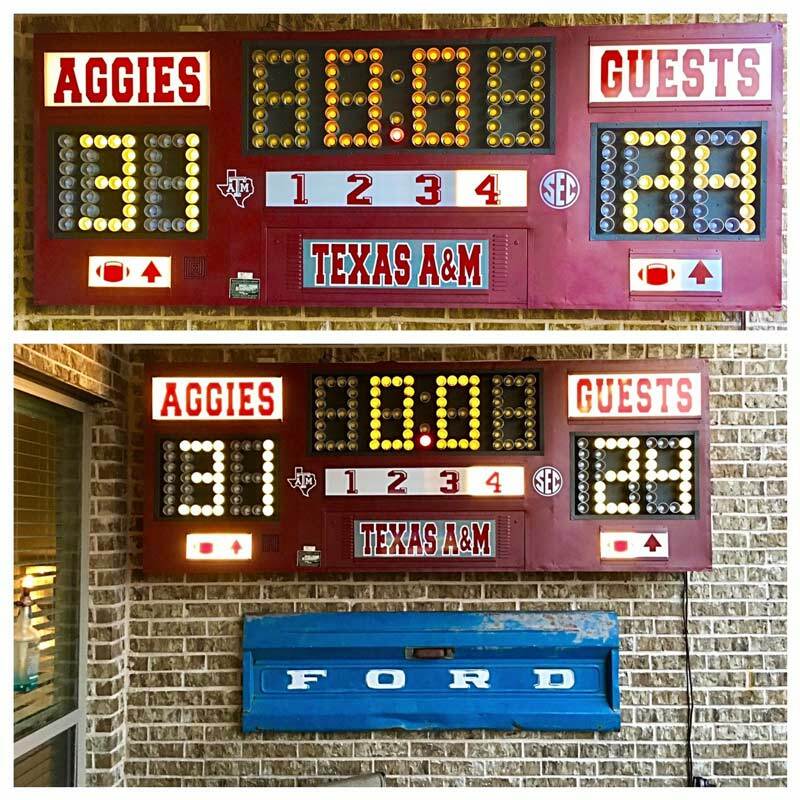 C7 LED Bulbs - Ceramic Style Replacement Christmas Light Bulbs: Customer Submitted Photo of Bulbs in Scoreboard. Thanks Chris! 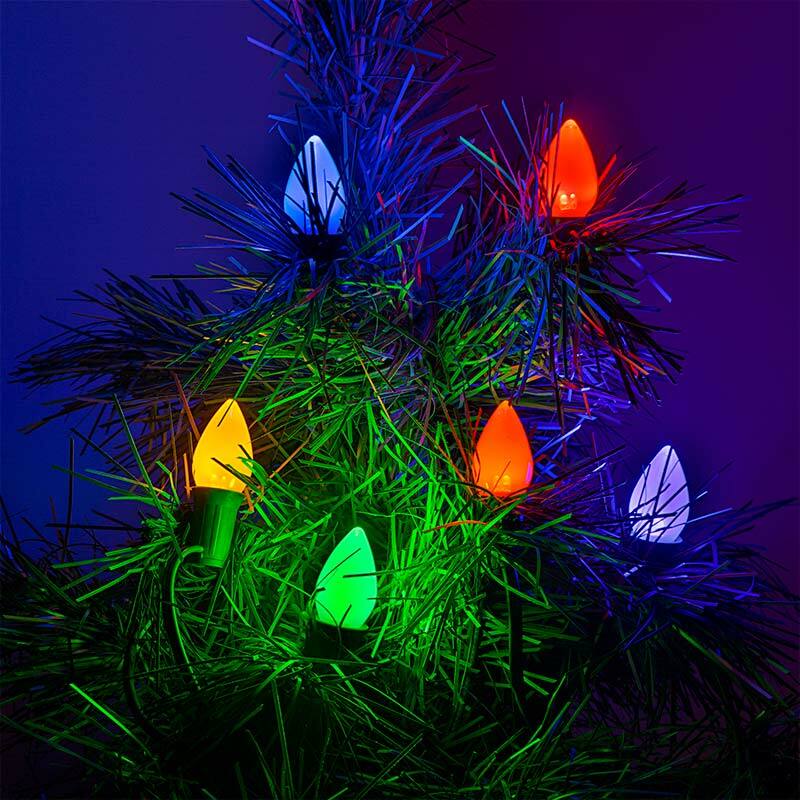 These C7 LED Christmas light bulbs are designed to fit holiday light strands with E12 sockets. 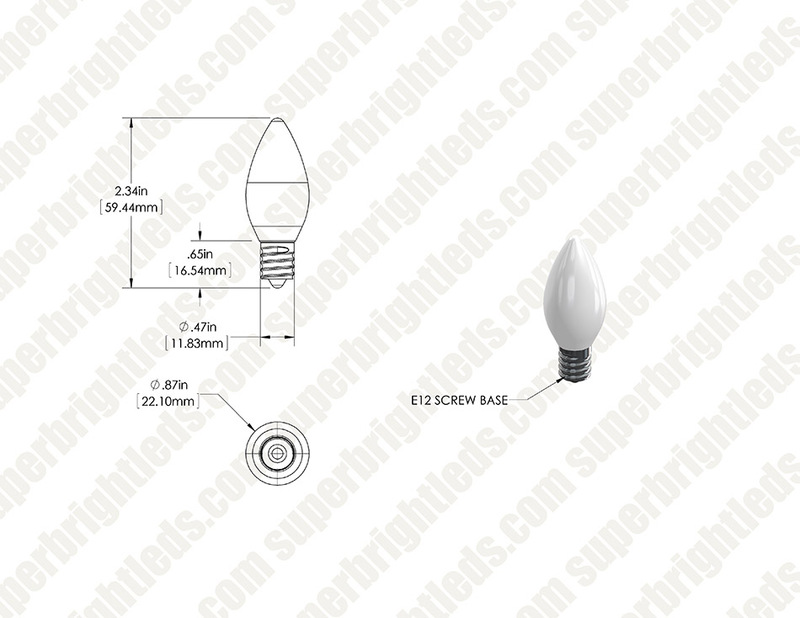 The ceramic style C7 replacement bulbs use less than 1 watt of power, have 120V AC operation, and are designed to last 17 times longer than incandescent bulbs. Available in cool white, warm white, red, green, blue, orange, yellow, or purple. Price per bulb or 25-pack. 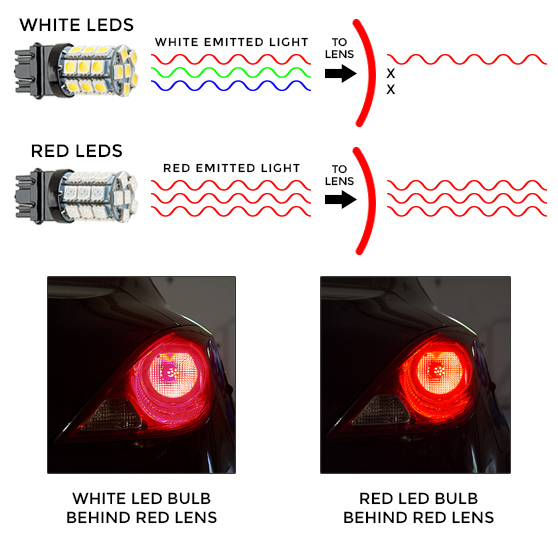 I have yet to find a C7 LED that is as bright as incandescent C7's. These are a little brighter than some I've tried, not not nearly bright enough. 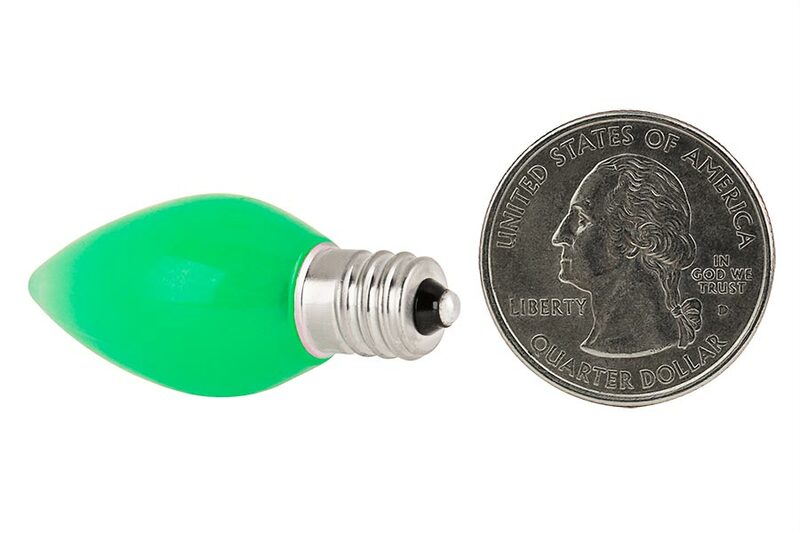 I use these in some Thomas Kinkade collectible houses and in some of the houses, you can hardly see the light through the windows, it's so dim I've had to go back to incandescent bulbs for most of the buildings. We suggest a C7-WW2DF-E12 for a brighter solution. I purchased these for window candles. In my opinion, I think they are dim and too white. My husband loves them because they are dim and when he goes to bed early the light doesn't keep him awake. For Christmas lighting I bought a few of these in red and green to use in outdoor coach lights that require candelabra bulbs. I would prefer brighter bulbs but they perform exactly like I expected and the price was good. 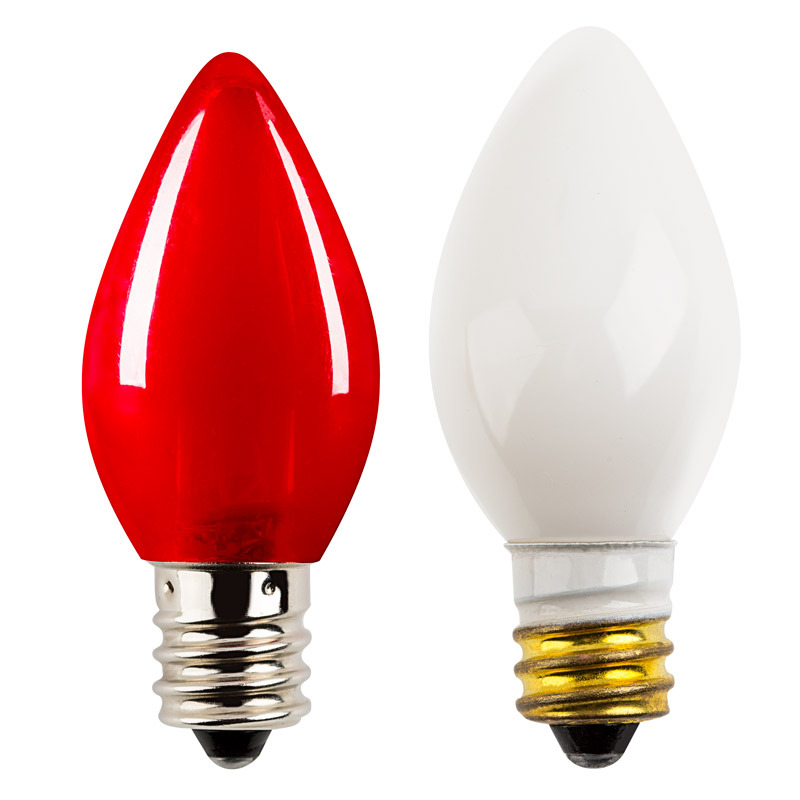 I couldn't find brighter red and green candelabra bulbs anywhere, LED or incandescent. Satisfied. Replaced existing incandescent bulbs on an antique Christmas yard décor item from the late 50s. Used a combination for red, white, green and orange colors. Was very pleased with the outcome. With the lower lumens the Santa Clause silhouette actually shows better then ever. 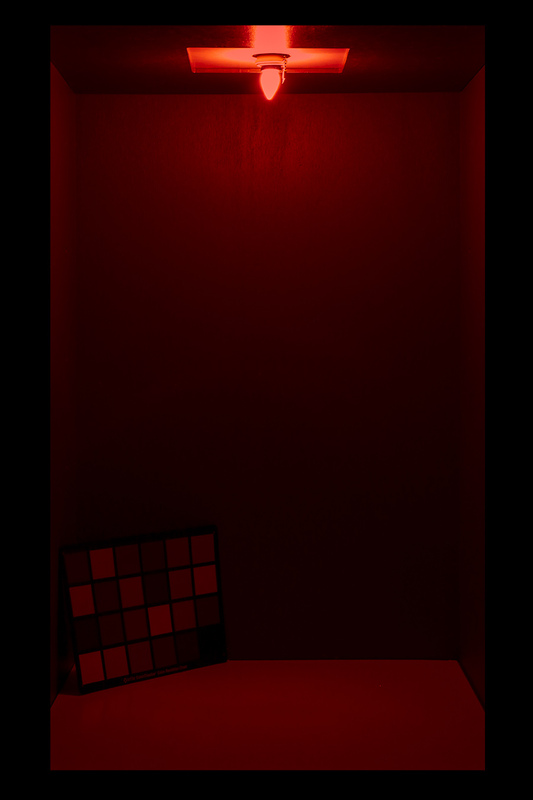 Only issue I had was two of the bulbs were DOA, (one white and one orange), so had to revert back to incandescent for those. Ordered the warm, but these are still pretty white... Still, usabe for night lights.